Twin Cities Code Camp has long been a must-attend coding conference for software developers. 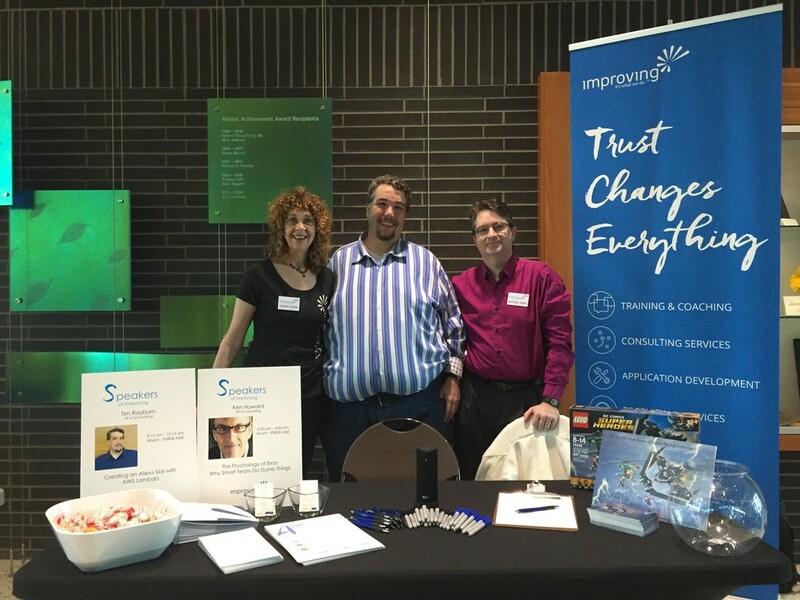 On April 22nd, Minnesota hosted their 21st biannual conference at Normandale Community College. This community-driven event hosted 30 speakers from all walks of life, each offering a unique perspective on software development. The coolest part about Twin Cities Code Camp? It’s a free, non-profit event run for the IT community by the IT community. Improving Twin Cities was given the opportunity to sponsor this year’s conference. We even had Michael Perry from our Dallas office attend and help out at Improving’s booth. To promote our upcoming movie night (and bring a bit of fun), we gave away a Lego Super Heroes of Justice: Sky High Battle set, which included characters from The Justice League. 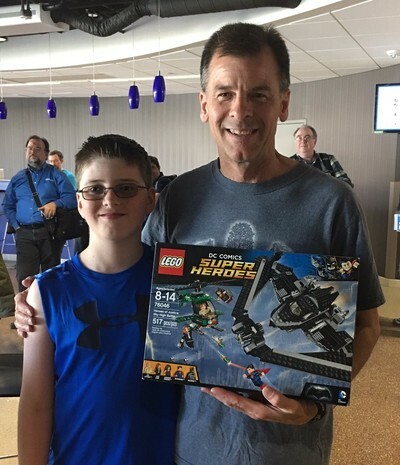 Michael Brown, the winner of the Lego Super Heroes of Justice: Sky High Battle set. In addition to sponsoring Twin Cities Code Camp, two of Improving's own had the opportunity to speak during the conference. One of the first to talk, VP of Consulting, Tim Rayburn, kicked off the conference with an interesting take on Amazon’s Alexa—or rather how attendees can create their very own Alexa Skill with AWS Lambda. Rayburn even provided working copies of the code base for audience members. Later, attendees were given a look into the mind of Improving’s own, Ken Howard, President of our Houston office. Howard gave an enlightening talk about the “Psychology of Error”, showing audiences helpful practices to avoid common pitfalls that other teams often encounter.